The big gap in posts was because I was busy creating a little person but a few months on I’ve got my hanker back and so it is fitting to recommence with a baby related hanker! 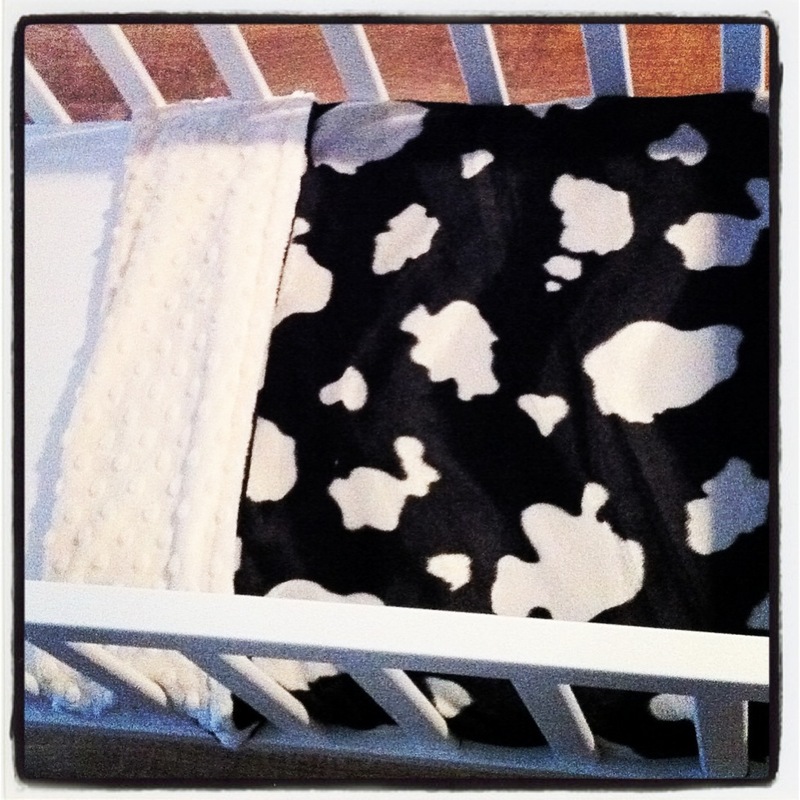 Faux cow hide to match the nursery wallpaper. I sewed the two pieces of fabric together wrong sides facing leaving a small gap so I could turn them right side out and sewed up the edge. I had a bit of an issue with the plush fabric stretching in the machine so had to redo some of the stitching to correct the wonkiness. They’re certainly not professional quality but I’m pleased with how they turned out and the cow one is a bit of a favourite with baby already. Plush Addict have gorgeous fabrics and some good value remnant packs to start out with if you fancy having a go.